We specialize in designing fine custom homes. 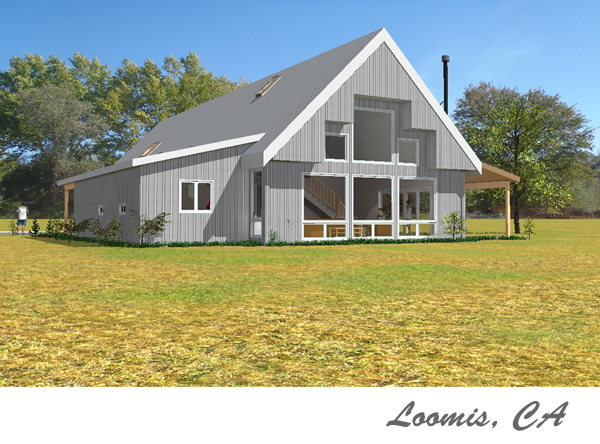 David is an environmental architect who is a pioneer in passive solar and sustainable architecture, creating buildings that heat and cool themselves naturally. He has designed everything from award winning homes to condominiums and office buildings. We offer finely crafted custom home designs as well as predesigned plans, with completed projects in most states across the country. We’re sure there’s something here that will interest you. Welcome and start clicking! With unforeseen fits and starts and delays and stops, David was at my side. As my money waned and defeat reared its ugly head, he was most positive and supportive, but never pushy or elitist or condescending. He “struggled” with my own design, pointing out problems, adjusting as we went, finally ending with a design of his own that was more appropriate to my situation. It was a vertical learning curve on my part, and, as my Father would say, “why do all our lessons have to be so expensive?” Money was well spent on my education and I look forward to completion of my minimalist, bullet-proof, “tree house” in Northern California. In 2004 my wife and I selected David Wright, AIA to design our “retirement home” in the Sierra Nevada foothills. His design process, using an extensive questionnaire and collaborative personal interaction resulted in an initial design that met or exceeded 95% of our requirements and expectations on the first iteration. With a few minor modifications we ended up with the home of our dreams. David’s varied and extensive experience produced a beautiful “contemporary southwest” design on a topographically demanding site. His refined design sense, combined with his expertise in cutting edge building technologies produced a very elegant and thermally efficient home; one that continues to amaze those that visit as well as the two of us that are fortunate to live there. We couldn’t be more pleased with the process, professionalism and results of our association with Mr. Wright. 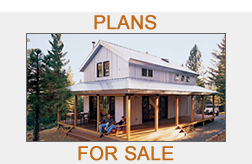 We have used David Wright, AIA for the design and construction of three buildings at our ranch, our passive solar home of 2000 sq. ft. a shop/office building of 1000 sq. ft. and magnificent concert hall of 3000 sq. ft. We used the architect’s recommended contractor for the home and shop, and the architect’s recommended construction coordinator for the concert hall. All the buildings were built to the architects and engineer’s drawings with frequent consultation between the architect and the contractor and construction coordinator. The home performs stupendously, we use 50 gallons of propane a year, that’s just for cooking. Buildings were built between 2001 with the last one signed off in 2008. We are completely happy with our long-term relationship with the architect and our buildings. 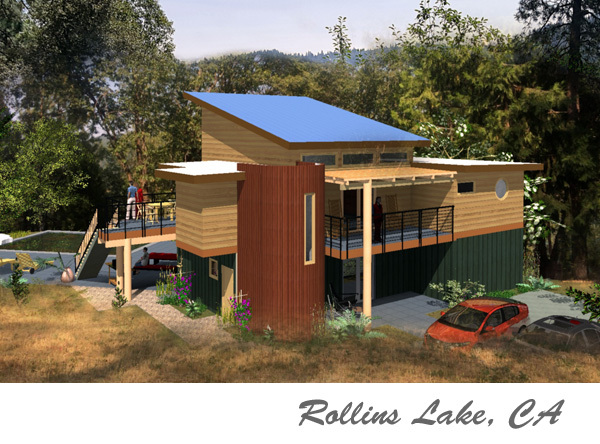 David is currently designing my retirement home in Nevada City, Ca. He has personally walked us through each step and let us develop a complete list of wishes and wants for him to use in designing the best fitting home. After the initial layout and some revisions, we have oriented it on the site for a best fit. We are having him develop a 3D computer model to help us visualize what it will really look like inside and out. David has provided great tips on speciality items ( doors, windows) to get the look desired. 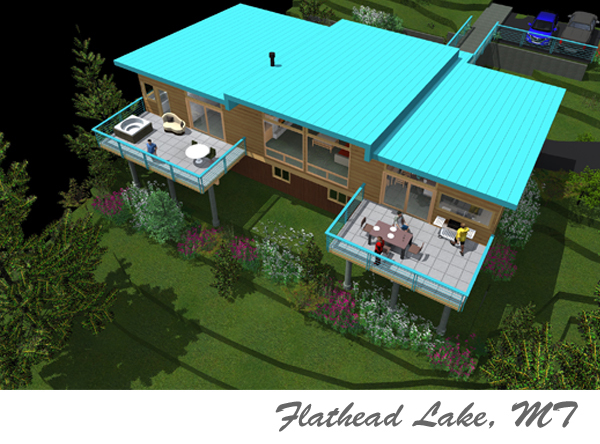 Providing a world-class heat pump design will minimize the cost to heat and cool. 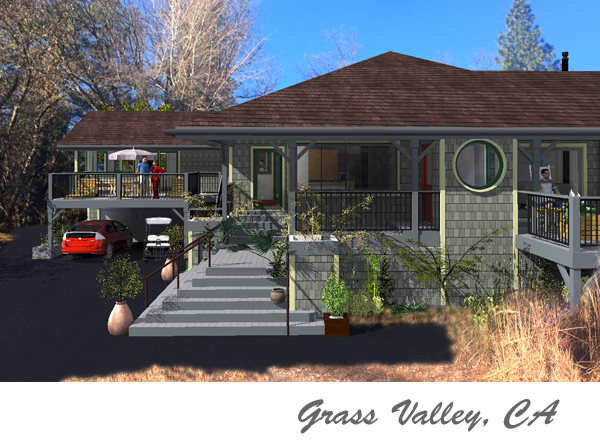 David is working on a major remodel for our home in Grass Valley. He has taken a small home and developed ideas that are functional, have the best features and designs and plans that work for our needs. He listened carefully to our thoughts and quickly followed through with an amazing design. He also knows the latest about Eco friendly designs and hardware that make a house functional, save money and the environment. He is a pleasure to work with and we would highly recommend him. My wife and I went to David with a general idea of what we wanted to build. We were ready and eager to build our (dream) retirement home. David listened to our needs and wants and came forth with a design that was immediately embraced by the both of us. The passive solar design has proven to be significantly efficient and the house is both functional and very esthetically pleasing. Our home is 800 square feet, and David’s design easily allows one to feel that the living space is much more spacious. Overall, we simply could not be happier with the design and home that David created and the process of working together with him was a positive and productive experience. We at Sierra Custom Homes have built Mr. Wrights homes and have more builds currently in process. Our clients and ourselves included are consistently impressed by his extremely comfortable, functional, and energy efficient designs. He maintains excellent communication throughout the design process, ensuring the end result truly meets the desires of his clients. David is an extremely competent and experienced architect that brings a unique personal touch to every project, a true industry leader! When we decided to build a retirement home in the Sierra Nevada Foothills we interviewed several architects and ended up selecting David Wright, AIA. 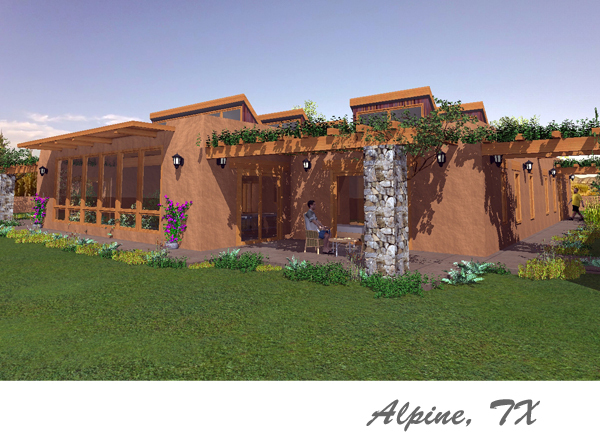 We were interested in a “contemporary southwest” style with just one living-level and high energy efficiency. We noted that David had practiced in Santa Fe and had been a leader in the field of passive solar design his entire career. The elegant result exceeded our expectations and introduced us to structural insulated panel (SIP) technology. SIPS simplified construction, provided the desired fire resistance needed on our heavily wooded site and thermal efficiency we didn’t realize was possible. We ended up with a beautiful, comfortable and functional home we love and appreciate more every year since its completion in 2005. Our experience with Mr Wright was outstanding in every respect and we recommend his services without reservation. David Wright designed a wonderful home for my wife and me. We have a piece of mountain property that was very problematic to fit a residence into. I wanted the house to be filled with light and to feel like it was in the trees. David composes his work. Built of SIPS panels, he designed a place that is not only beautiful, but very comfortable. From a deck that encompasses the entire roof to the two story high windows in the living room, there is a feeling of air and space. Many modern buildings feel sterile and hard to live in. That’s not in David Wright’s plans. It is the most comfortable home I’ve ever been in. Visitors never want to leave. Mr. Wright interpreted our desires perfectly, producing a beautiful house that is easy to live in and is energy efficient. We LOVE our house on the American River. We have settled in nicely. The elevator has been helpful. The radiant heat is awesome. In winter the driveway is very icy and slippery (whee!). In summer when Sacto is 100 degrees the house stays in the 70’s. A concern will always exist regarding how well the hillsides hold. In the meantime we have enjoyed getting to know our neighbors. Thank you for designing such a solid house. Watching the snow fall outside the huge windows is dreamlike. I have know David Wright for over 30 years, having worked with and for him and his company over a six year period. David is a talented designer who has spent a career extolling the virtues of energy conservation through smart design. 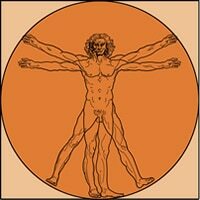 His sense of space and proportion are unusual even in a profession where such sensibilities are expected. David Wright is a kind and honest, hard-working man with a distinguished career that includes designing hundreds of homes, authoring several books on passive solar buildings and lecturing nationally to his contemporaries. I am honored to know David and include him among my friends. Mr Wright interpreted our desires perfectly, producing a beautiful house that is easy to live in and is energy efficient. David and his staff asked many “up front” questions from Maria and I to help capture our concepts and desired details…. 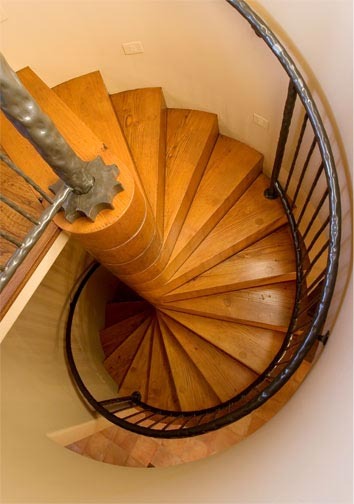 He has provided us with many helpful tips and shown us other custom homes in the area he has created. We are entering “detail design” and looking forward to a 3D CADD rendering to help us understand just how our home will look and how it will fit at the homesite. David has provided us with reccommended sources for doors, windows, etc., and promising High Tech Heat Pumps using new R-401 freon. David helped us pound stakes at the site to see how it will look… one step further! I have found this architectural firm to be open and very above board. David, or his minion, always answered my many questions and concerns appropriately and on time. his drawings and building requirements have been rendered at the very highest level. If one wishes a professional approach and wishes value in return for money spent, I know of no better business of this sort to deal with. David Wright has over 30 years experience designing private residences, commercial & institutional structures, custom homes and remodels and additions. Click here to see some examples of our projects. We focus on architecture as functional art. As Solar Environmental Architects, we embrace a wide scope of appropriate technologies to design buildings that respond to the individual client’s needs, the site, the climate and the regional character. As an early pioneer in passive solar design, David has designed solar architecture for virtually all climate zones and has authored three books which have helped define the principles of architectural climate design and the types of architectural solutions which are the mainstream concepts today.